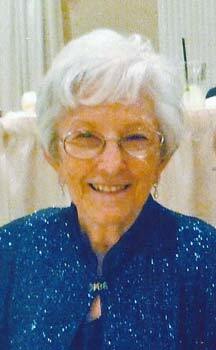 Janet L. Ladewig, 85, nee Hendricks, of the North Mayfair area of Chicago. Passed away September 6, 2018. Beloved wife of the late Edward J. Ladewig. Loving mother of Linda (Donald) Gillespie and Kathy (Edward) Azzano. Proud grandmother of Shanna, Jason, Joseph, Stephanie and Brandon. Great grandmother of Alyssa, Olivia, Riley, Ethan, Arianna, Reese and Eve. Dear sister of June Farmer. Visitation will be held Monday, September 10, 2018 at the M J Suerth Funeral Home, 6754 N. Northwest Hwy., Chicago from 4-9 pm. The cremation will be private. For further information 877-631-1240 or www.suerth.com.